Whether 5 years old or 50, people generally like dessert more than turkey. Even better if the dessert is a little whimsical, like a turkey-shaped cake or cookies that look like Plymouth Rock. 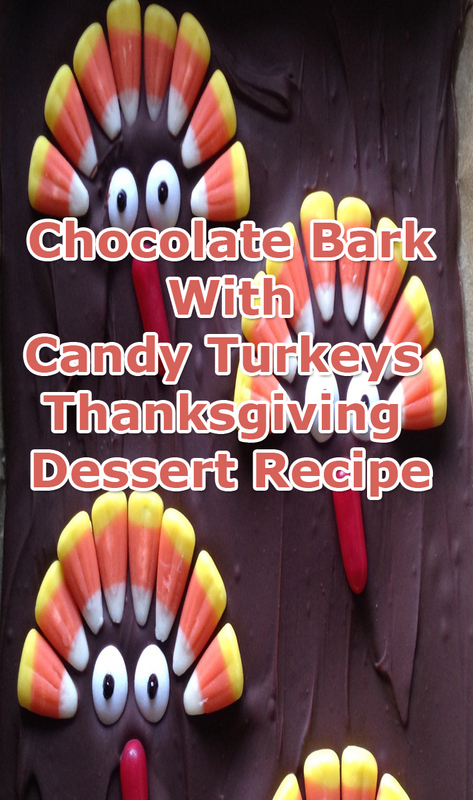 Make this treat to take part in Turkey Day celebration. 1. Line a 13-by-9-inch cookie sheet with parchment paper. 2. Place chocolate chips in a double boiler over low heat and let melt, stirring occasionally. 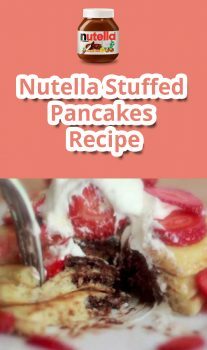 Pour melted chocolate evenly onto lined cookie sheet, spreading with spatula to smooth and even it out. 3. 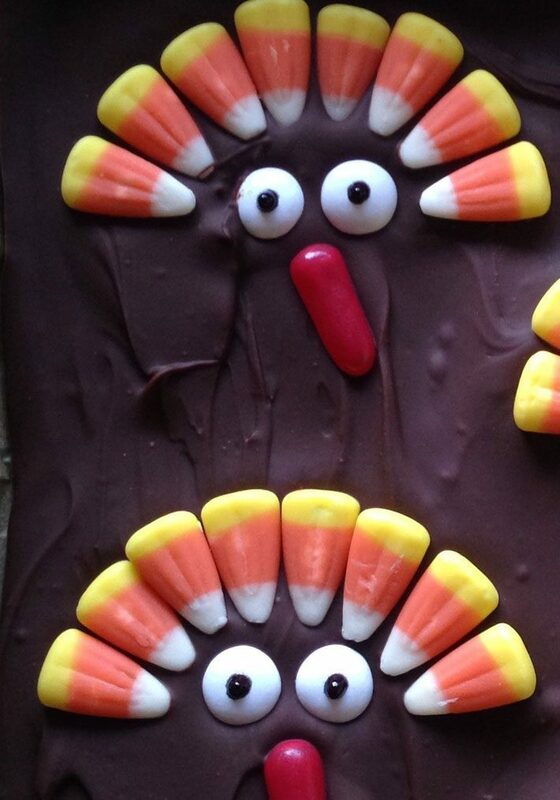 Arrange 8 pieces of candy corn in an arc to look like the feathers of the turkey. Place 2 white candy discs to look like eyes, and the red candy below to look like the snood (the red part that hangs from a turkey’s neck). Use the cake-decorating gel to dot the white candy discs with “pupils.” Repeat until bark is covered with turkeys; you should be able to fit about 10. 4. For best visual effect, serve bark whole and let guests break it at the table.